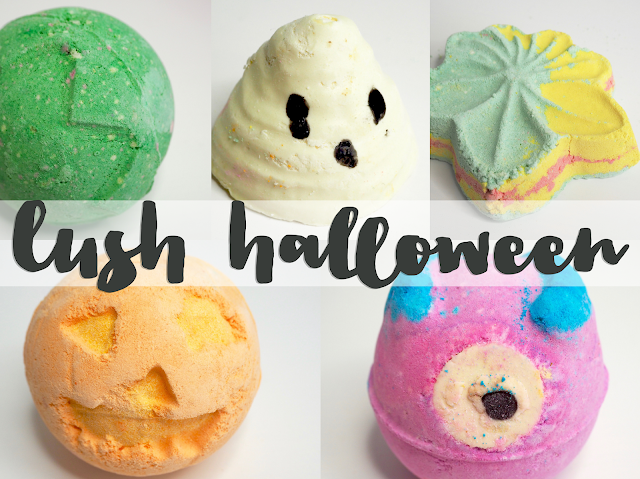 Lush Halloween collection 2016 - bath bomb haul! Nothing signals the arrival of autumn quite like the unveiling of Lush's Halloween collection. 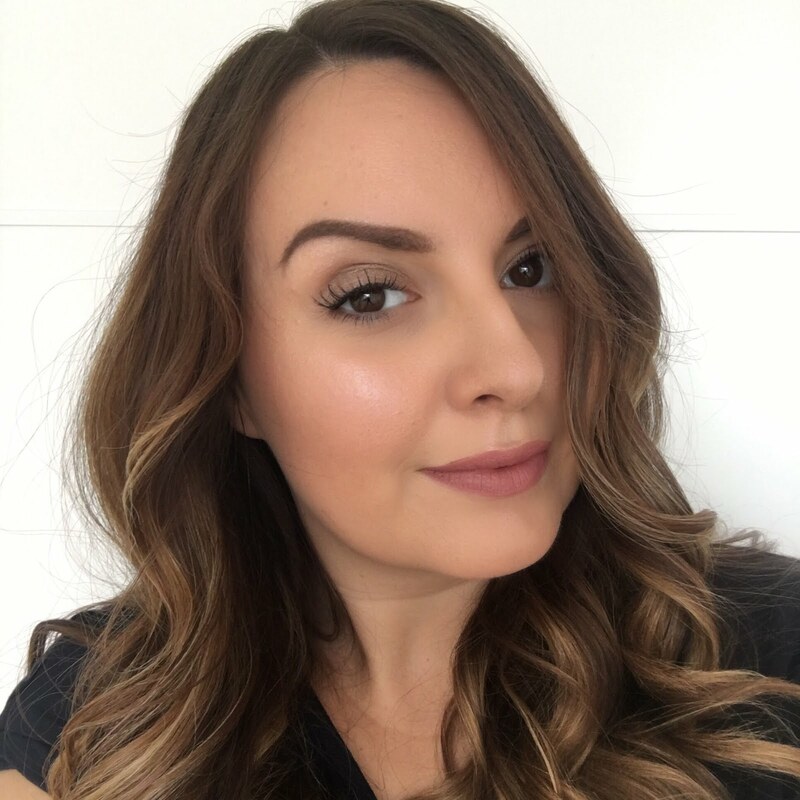 The colder, darker days and evenings lend themselves so well to hot, steamy, lingering baths, so I'm always giddy with excitement to stock up on the latest bath time treats once the new collections arrive. Plus, it's a sign there's not long to wait for the Christmas range... woooo! I'm not a huge fan of yellow, orange or red coloured bath water - I don't really know why, I just always much prefer a pink hue in my Lush bath, or maybe a blue or green. 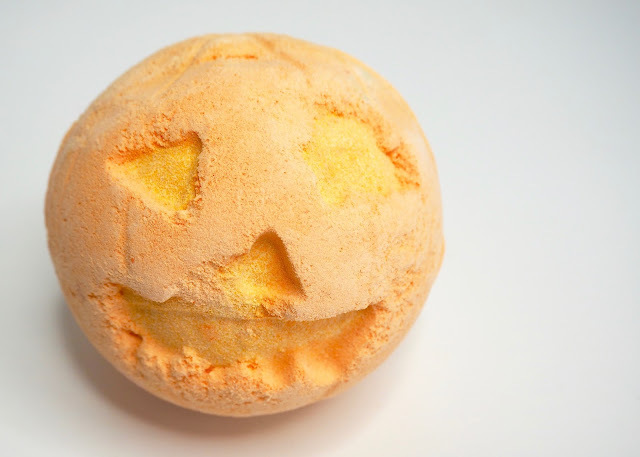 However, I had to make an exception for this Pumpkin Bath Bomb, as he's truly the symbol of Halloween and smells a lot like a pumpkin spiced latte - basic witches unite! 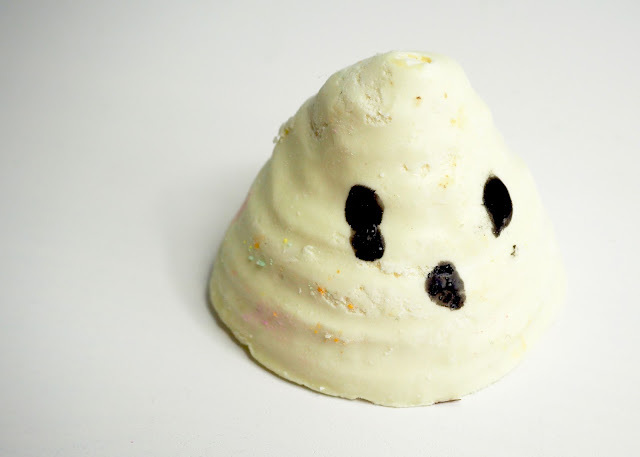 I couldn't resist this cute little ghosty! 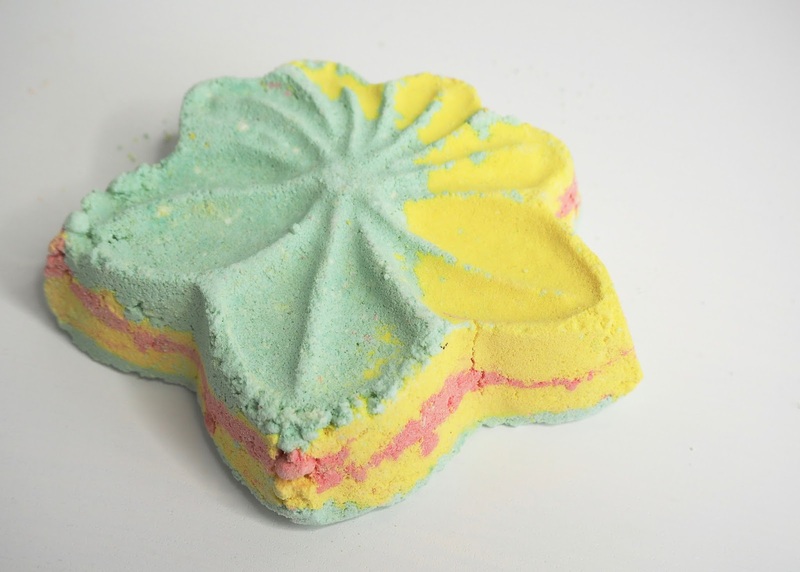 It's a bath melt, so you just drop it into the water and you'll get one super ghoulish bath from this. The scent is ginger, mandarin oil and cocoa butter - dee-lish. 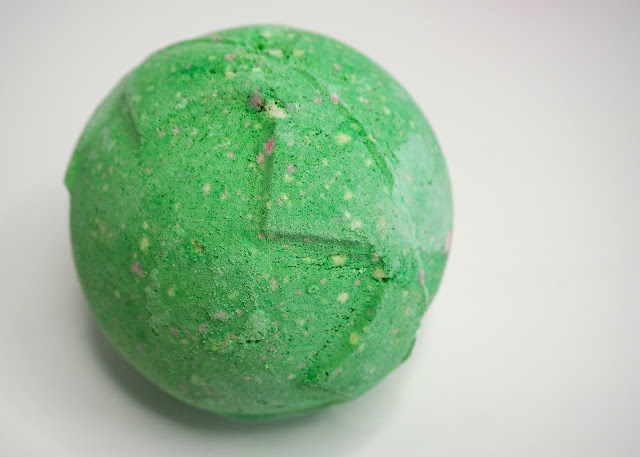 I've never tried the Lord of Misrule shower gel before, so wasn't quite sure what to expect from this bright green bath bomb, but it has a really lovely, unique scent. 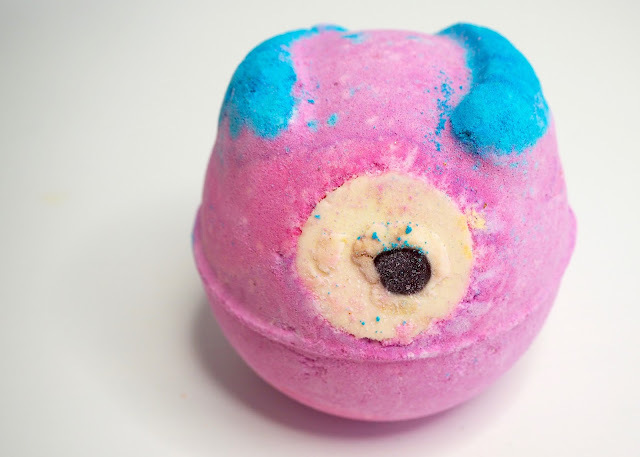 It's a blend of black pepper, patchouli and vanilla and beneath that gruesome green exterior there's a pinky-red centre waiting to fizz and pop around your tub. 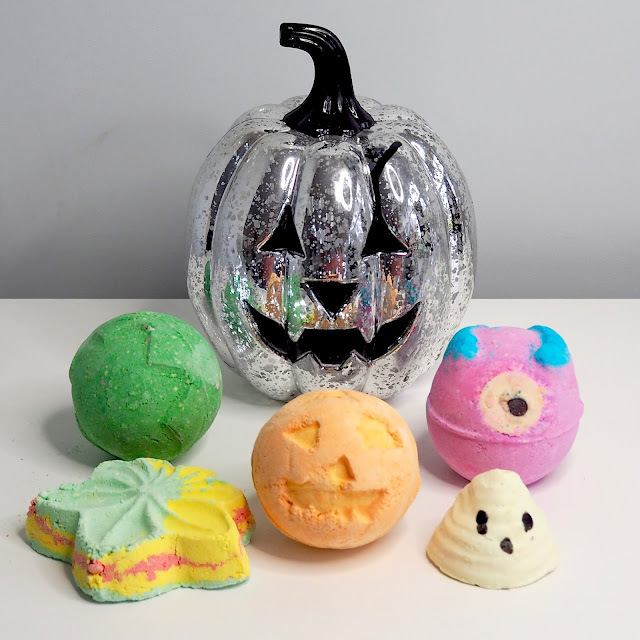 This to me is the most exciting new addition to the collection - I love the crazy look of this bath bomb, and also that despite it being a Halloween collection, it's going to give a really pretty swirl of pinky-purple in your bath! The scent is really appealing to me too as it contains lime and neroli oil and neroli (which smells like oranges) is one of my favourite fragrances. Not strictly Halloween related, but certainly playing on the autumn theme is this pretty leaf shaped bath bomb which will paint your bath in beautiful autumn colours of yellow, green and burnt orange. This is a lovely fresh smelling product which again contains my favourite neroli scent and also sandalwood, and bergamont.